Yes. RUF is a registered 501(c)3 non-profit organization and all gifts are tax deductible to the full extent allowed by law. ​ Our IRS letter of determination is available to donors and prospective donors upon request.​ Contributions are solicited with the understanding that RUF has complete control over the use of all donated funds. Our board-approved policy is that all gifts ​"​preferenced​"​ by the donor for a specific campus or project be applied to that project without extracting administrative or fundraising expenses at the time the donation is made. 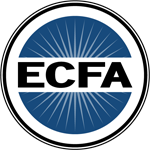 RUF is a member of the Evangelical Council for Financial Accountability. In the memo line, please include the name of campus or the account number you would like us to allocate the gift to. If you have questions about giving by check, email us at donorservices@ruf.org or call 678-825-1070. You may give securities either by transfer of the certificate of ownership or through account transfer arranged by your broker. In each case, you avoid the tax on any potential gain and receive a deduction for the full fair market value of securities. To give a gift of stock, email us at donorservices@ruf.org or call 678-825-1070. Double what you’re giving to RUF. Many employers will match your gift one-for-one or even two-for-one, providing additional support for RUF. These programs are for working individuals and may be extended to retirees. To find out if your company will match your donation contact your employer directly. Contact us to discuss your pledge, and find a method of giving that fits your desires and provides maximum influence. You may donate all or part of your personal or vacation residence, commercial property, farm or other real estate. Tax savings and other benefits will vary according to the method you choose, your personal circumstances and the value of the property. The deduction for gifts of appreciated property you have held for more than one year is normally equal to the fair market value of the property. To give a gift of real estate, email us at donorservices@ruf.org or call 678-825-1070. A ‘planned gift’ is charitable giving through bequests and trusts. These include income generating gifts, gifts that allow you to pass your assets to heirs, testamentary gifts, and gifts of real estate and personal property. For help with a planned gift, email us at donorservices@ruf.org or call 678-825-1070. RUF welcomes gifts of equipment, books, gems, artwork, etc. Gifts of this kind are often deductible to the extent of their full value, as long as the property may be used to further the tax-exempt purposes of RUF. To give a gift of personal property, email us at donorservices@ruf.org or call 678-825-1070. When people shop at smile.amazon.com, Amazon donates to organizations you care about, like RUF. AmazonSmile offers a 0.5% donation year round to RUF for every dollar that you spend, but you must be logged into AmazonSmile in order to get the donation. Sign up with AmazonSmile today.